Have a ton of photos on your iPhone or iPad, but don't back them up online with iCloud due to the cost? 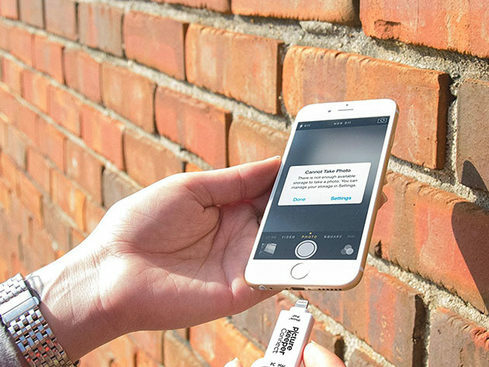 Here's a way to make sure those photos are backed up safely and not taking up your precious storage on that iOS device: The Picture Keeper Connect USB Mobile Flash Drive ($89) gives you 16GB of fast flash storage you can have with you all the time for on-site backups or emergency access to other data. All it takes is a tap or two to back up your important photos and data! Picture Keeper Connect uses a Lightning connector for an easy plug and play storage solution on any iOS device, and can be used with other devices with the included adapter. Picture Keeper Connect usually sells for $89, but we're taking 25 percent off for a limited time. Buy it today!